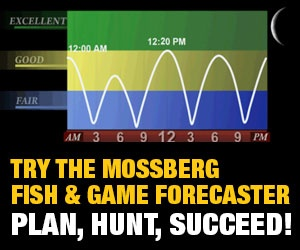 Mossberg Blog | Tips for Mentoring Female Hunters | O.F. 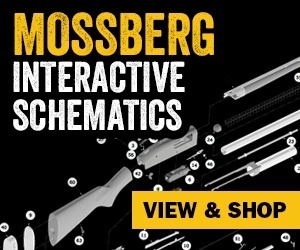 Mossberg & Sons, Inc. While I am indeed married to the best guy in the world, that is not to say we haven’t sparred over rogue comments and miscommunications. I shall just put out there, that we may have had a horrible argument at 12,000 feet on horseback. The day started out as an epic hunt, turned into a loud and childish argument that led to a seven-mile ride out in total silence. There may or may not have been profanity, tears of rage and childish silent treatments. I can neither confirm nor deny. Let’s just say that we learned a lot about hunting together after that day. Women view hunting from an entirely different perspective. It’s not that we are “sensitive”. It’s not that we are argumentative. We just see things differently and by correctly understanding those differences can help you avoid a very long and silent horseback ride out of the backcountry. Whether you are an older, married couple, just dating, or simply a guide hunting with female clients– you can thank me later when you have dazzling success with the following tips. Take a few minutes while driving or riding in to ask questions. Discuss and agree upon tactics. Discuss equipment. Discuss timeline plans. This eliminates surprises and frustrations. This is important. Let her decide exactly what type of animal she plans to harvest. You may want her to bag that 200” muley while she may be happy with something much smaller. Discuss it early because failure to do so can result in hard feelings and frustration on both sides. Often, women want to simply have a successful hunt to fill the freezer. They aren’t always (but sometimes they are!) after the biggest animal. Again, the hunt is hers and the trophy is in the eye of the beholder. Respect her choice and support it. Harmony shall ensue! Your patience, not hers. Many women report the same frustration- it’s time to take the shot and her significant other or guide becomes frustrated when she doesn’t fire off the shot quickly. Frustration and agitation at this point in the hunt can be devastating to all. Women tend to wait until they are absolutely comfortable that they can make a sound and ethical shot. They may wait longer. They may even wave off a shot if they aren’t totally certain it is the BEST shot. Just remember, this is her decision and support it. Remain calm and kindly instructional during the process. Give her time to get comfortable, get her situation controlled, and dial in that internal composure. All of this will work to help ensure a successful shot. Before you head out on the hunt, honestly take time to practice with your weapon of choice together. I have personally found this to be very beneficial for a lot of reasons. For starters, it is extremely important for her to know that she, her firearm, and her optics are all cooperating. It is important for her to have her significant other there as well for troubleshooting and discussions. But most importantly, if there are any hiccups, you can work through them together. 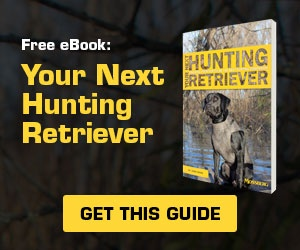 This makes a huge difference on the hunt and when the time comes to actually shoot, you will know she is as prepared and skilled as possible. You both will know you have both worked to troubleshoot any issues. She will know she is as prepared as possible which makes confidence hit a high mark. This all works to reduce any friction, frustration, and/or unsolicited advice. This goes for most people regardless of gender and situation. But for the sake of this article, it is politely directed toward the men. It is natural for men to want to give advice while hunting, especially if the man has been the woman’s teacher and mentor over the years. Women don’t always want advice, even you think she needs it. And as anyone in a relationship knows, advice from our significant other can sometimes be difficult to receive. We have ALL been there (reflect back to my own mountainside combat noted above). Wait for her to ask for advice unless it is a critical event. Experienced female hunters have tons of skill and expertise. Respect and acknowledge her skill. And, should you be in a position where your advice is imperative, try this: Ask her if you can give her some advice. Funny thing, she is going to have to say yes to that! Now, with any advice, she may or may not follow it and that will be on her. Nothing is worse than a missed shot, but we have all experienced this. And no one is more devastated than the shooter. This is also not the best time for comments like, “Where were you aiming?” or “What were you looking at in your scope?”. While they are not questions that are totally out of line, they are somewhat ridiculous when aimed at an experienced hunter. Of course she was aiming at the kill zone. Of course she was looking at the animal and finding the shot placement. Something just went wrong. Try this instead: Ask her what she think happened. All hunters pretty much know the second the shot goes off what they may have done wrong, and letting her process her frustration is better than fueling it. This is so important. Even if the hunt didn’t go exactly the way you had planned, a successful hunt should be happily celebrated. It goes a long way to tell your significant other that you are proud of them… no matter what gender you are! So there you have it, simple tips to salvaging your relationship during hunting season. You can thank me later. Consider this free marriage counseling! Kirstie Pike is the founder and CEO of Prois Hunting & Field Apparel for Women. (She also cleans the toilets there.) While hunting is the great passion of her life, building the sisterhood of women hunters and shooters that surround Prois has been one of her greatest accomplishments to date. Prois has been the leading edge for women’s performance hunting gear for nine years and running. Take pride in NOT being one of the guys. Moose Hunt in Newfoundland: Part 3 - Success!